You know the saying, "One man's junk another man's treasure?" Boy, is that saying true!! This past Saturday, I went to a family friend's house. Some people would call her a "picker". You know, people who go to estate sales and demolition sites to find what most people would consider junk? Well, that is her! 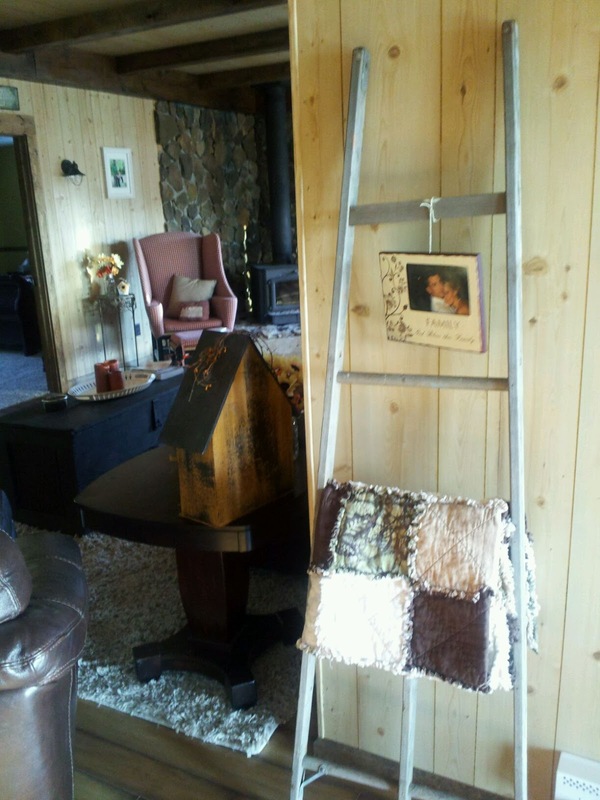 I have been wanting to find an old ladder to display blankets and picture frames. I knew I could find what I was looking for at this friend's house. I have shared before about my Pinterest addiction, I get so many cool ideas from Pinterest, but I am proud to say that I got this idea from my good friend, Leah Wright. Check her out at Living the Proverbs 31 Lifestyle. Leah is very crafty and creative! There are so many creative ideas that you can use ladders for. I love how versatile they are! See the finished product below! This is a creative and inexpensive way to display photos and quilts. Total cost $10.00. Can't beat that!